Pop-Ups are the windows which came out without user permission when we visit certain websites. Most of the time it is an advertisement for some products or services. If you are using Firefox browser, there is an option to disable Popups and no floating windows will be opened after enabling popup blocker. This tutorial explains how to turn off popups on Firefox browser and make exceptions from certain websites like banking sites. 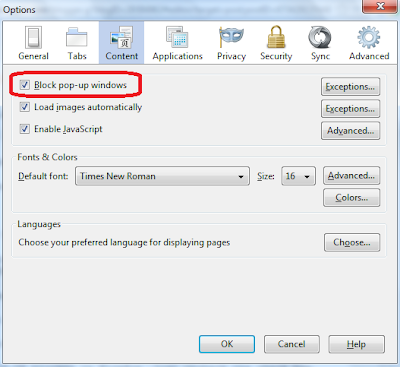 To start using POP-UP blocker in Firefox, follow the steps below. Click on Tools. You can start tools menu by pressing [Alt] and [T] buttons together. 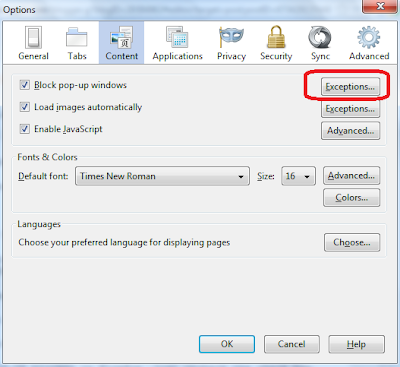 If you do not want to use Popup blocker feature of Firefox browser, you can turn off it. After turning off this feature, there won't be any issues in displaying popups on your computer. Sometimes users will need this feature turned off while using certain web-based services. One of the common services is banking websites. While performing net baking facility, we need to use pop-ups and if the popup blocking is enabled, it blocks the banking sites full functionality. 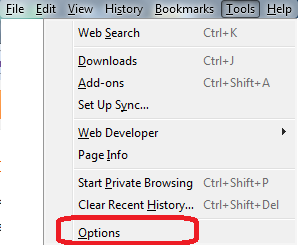 If you want to disable POP-UP blocker in Firefox, just uncheck the checkbox at block pop-up windows at step 4. How to Make Exceptions to Show Popups From Certain Websites? Not every time popup is annoying. Certain genuine websites need us to turn off popup blocker feature on browser to serve us better. Some banking websites need us to open popups to log in to online banking service. Firefox knows, not all websites are problem makers and some websites use popups for genuine needs. It has exceptions feature which lets websites which are allowed by the user to display popups on a computer without any troubles. 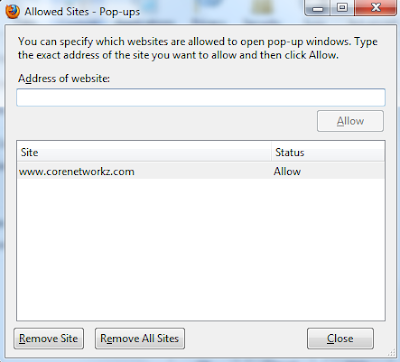 In the options window, under the content tab, you can see the exceptions button near block pop-up windows. Click that button to add websites you want to allow shows popups on your computer. If you do not want to give that privilege to already added website anymore, you can remove that website from the list using the button Remove Site.